William Rogers, president and CEO of Goodwill San Francisco, San Mateo and Marin. The Atlantic: "‘We Are All Accumulating Mountains of Things’" — "It’s easier than ever to buy things online. It’s so easy that Ryan Cassata sometimes does it in his sleep. Cassata, a 24-year-old singer-songwriter and actor from Los Angeles, recently got a notification from Amazon that a package had been shipped to his apartment, but he didn’t remember buying anything. When he logged onto his account and saw that a fanny pack and some socks were on the way, he remembered: A few nights back, he had woken up in the middle of the night to browse—and apparently shop on—Amazon." Becoming Minimalist: "21 Surprising Statistics That Reveal How Much Stuff We Actually Own" — "Most of us know we own too much stuff. We feel the weight and burden of our clutter. We tire of cleaning and managing and organizing. Our toy rooms are messy, our drawers don’t close, and our closets are filled from top to bottom. The evidence of clutter is all around us. "Today, increasing data is being collected about our homes, our shopping habits, and our spending. The research is confirming our observation: we own too much stuff. And it is robbing us of life." NPR: "Online Shoppers Say They Rarely Return Purchases. Why?" — "When you follow retail, there are a few things you hear about a lot, and one of them is returns, because processing them costs stores a lot of money. "Summers knows what this looks like from the inside. She's an executive at a company called Optoro, which is built around returns: It helps retailers re-purpose or resell all kinds of things that people send back. "'E-commerce has a much higher return rate than traditional brick-and-mortar stores do,' Summers says. By Optoro's estimates, shoppers returned $385 billion worth of inventory last year alone. 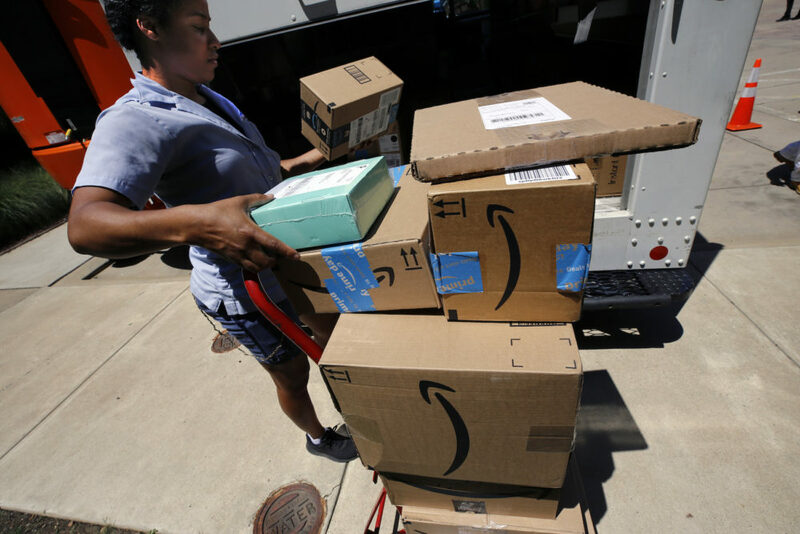 "But according to a new NPR/Marist poll, 91 percent of American online shoppers said they 'only rarely' or 'never' return things they buy online. And even more — 94 percent — said they "only rarely" or "never" make an order expecting to return at least part of it." I've never loved shopping. But, I feel like I'm doing a lot more of it without ever going to a store. Online shopping. One-click shopping. Digital home assistants. Cheap prices and fast delivery. It's easier now than ever to spend, shop and consume. And companies are doing everything they can to encourage it. Are we turning into a nation of hoarders? The hidden costs are huge: millions of tons of garbage polluting land and sea. Billions of dollars wasted on things we may never use. What's it doing to our psyches? To our planet? This hour, On Point: online shopping, hoarder nation. This program aired on August 23, 2018.